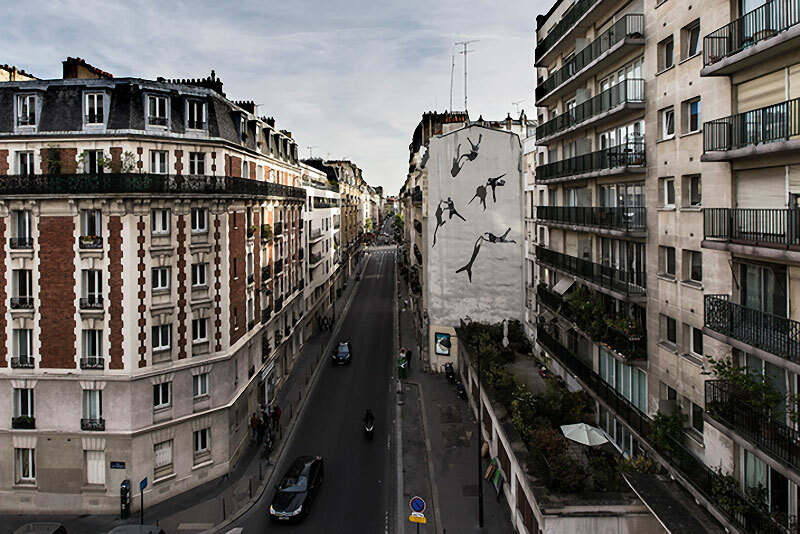 A mural in Paris by Norwegian artist Anders Gjennestad, aka STRØK, consisting of figures that seem to defy gravity. 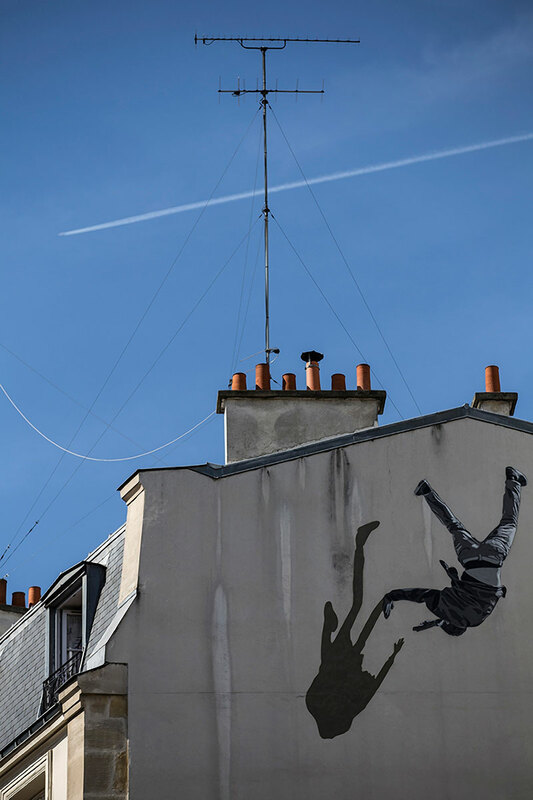 Painted on the wall of a building on Rue De La Glaciere, STRØK’s signature style includes subjects that do not follow the laws of physics, are often portrayed upside down, and usually inhabit the aged surfaces of walls. In an alternate universe where his characters live, there are no rules and time doesn't exist. 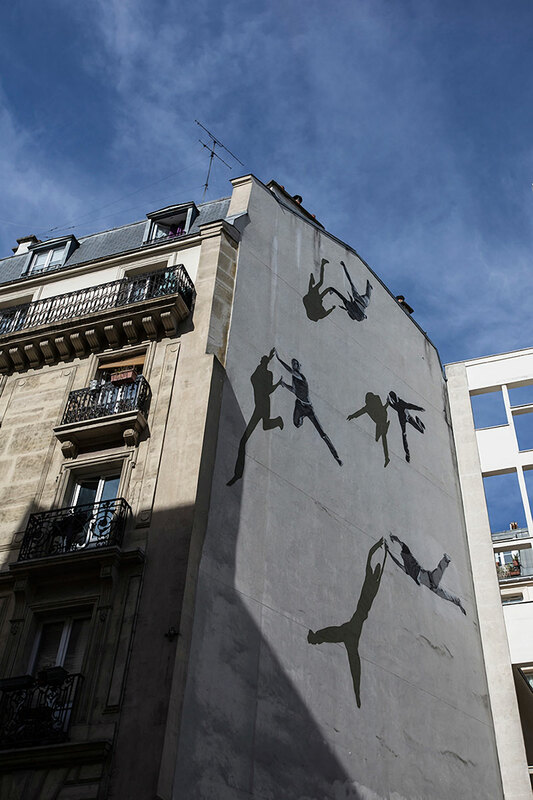 Gjennestad’s stencils are placed on scratched walls, rusted metal, and degrading plaster-work which creates an interesting texture. 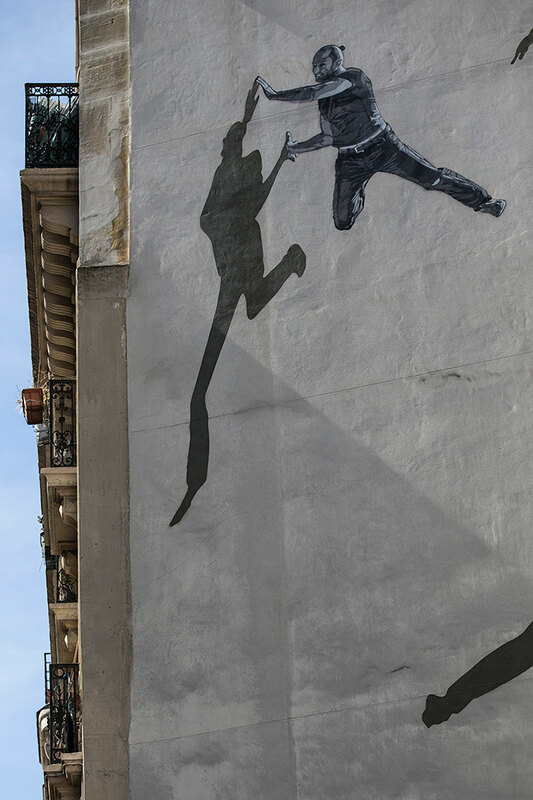 The spontaneous transformation that happens over time emphasizes their unique characteristics. 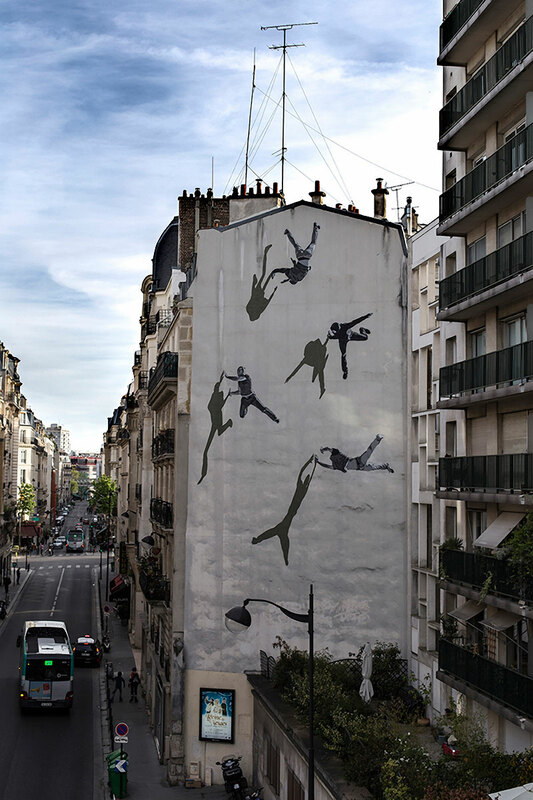 A mural in Paris by Norwegian artist Anders Gjennestad, aka STRØK, consisting of figures that seem to defy gravity.